We are open 9:00 AM - 6:00 PM EST. For quotes or to schedule a project call 513-378-3678 or email info@silversunstudio.net. 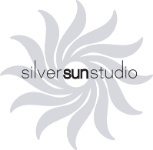 Silver Sun Studio has offices in Austin, Texas and Cincinnati, Ohio.